You’ve actually done it. You and your closest mum-friends have filled in the Doodle (or your meeting planner of choice) and successfully found one single date when you are all free for a spa day. It’s a small miracle. Make sure you add the date into your calendar before your partner gets a sneaky fishing trip booked in. Okay, now it’s official, let’s start planning the pampering. Assuming you’d rather not spend too much of your precious time off-duty driving, we’ve chosen spas that are no more than an hour’s drive from North Hertfordshire. We’ve included the most basic spa day package on offer on a weekend day (unless otherwise noted) to compare as like-for-like as possible. Weekdays are cheaper if you can book the time off. All information here is correct at time of posting but please check each spa’s website for the most up-to-date information and offers. Housed in the Grade II listed Fairfield Hall, The Bannatyne Spa is part of the Bannatyne Fairfield Health Club in Stotfold, just outside Letchworth. Cost: £69 for a ‘Deluxe Choice Spa Day’. Includes a 55-minute treatment or two 25-minute treatments. Lunch is not included however you can eat at The Orchard Restaurant. Robe and slippers will cost you £3 to hire. Facilities: You are free to use the health club’s pool, steam room and sauna. You can also take part in the club’s fitness classes, although these cannot be pre-booked so will depend on availability on the day. Editor’s note: Bannatyne Fairfield Health Club is my gym and, as a treat, I booked in for an Elemis Deep Tissue Massage. The therapist was lovely and you get to relax on a heated mosaic bed afterwards. This treatment is a much deeper massage than a regular Swedish Full Body Massage and can feel quite tender if you have a lot of tension (err, what mum doesn’t? ), especially around the shoulder blades. Ask the therapist to lessen the pressure if it feels too sore. Y Spa is about halfway between Cambridge and Milton Keynes at the Wyboston Lakes Hotel. Cost: £59 for a ‘Soak Up Saturday’. Includes Thermal Spa use from 9am-1pm and a two-course lunch. Treatments are extra. Facilities: Use of Thermal Spa facilities, including a hydrotherapy pool, sauna, steam room, and experience showers. Champneys Henlow is set in a Georgian Manor and has a very traditional feel. Cost: £109 for a ‘Spa Day’. A hot and cold buffet lunch is included however treatments will cost you extra. There is also a ‘Group Girly Getaway‘ you can book if there are at least 8 of you going together, from £59 per person (plus £20 per person weekend supplement). Facilities: You can use the pool and gym, and attend exercise classes. Products used during treatments: Carita, Decléor, Elemis and Jessica. Editor’s note: I spent a blissful solo day here eight months after my son was born. The pool area is light and relaxing, and there was plenty of choice for a healthy lunch (which I ate in my gown and slippers). It is currently undergoing refurbishment so you may want to check before you book. Aqua Sana is nestled among the trees at Center Parcs Woburn Forest. Cost: A ‘Spa Day’ costs from £115 (Friday to Sunday) and includes refreshments and a glass of bubbly on arrival, plus lunch in Vitale Café Bar. Treatments are extra. Facilities: You have access to all World of Spa facilities. 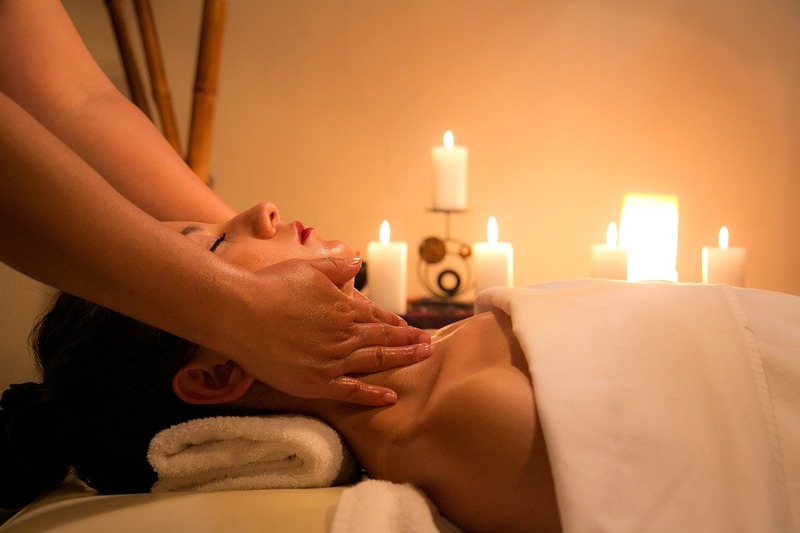 This includes six different spa experiences, such as Fire and Ice, Mineral & Gemstone, and Salt. Products used during treatments: Decléor, Elemis, Bliss and CND. Editor’s note: While on a Center Parcs break last year, I booked a Back, Neck and Shoulder Massage here. The spa is super zen, and my massage was great. You’re free to rest in one of the two relaxation rooms after your treatment which is a nice touch. Part of the five star Luton Hoo Hotel, the Spa shares facilities with the luxurious Country Club. Cost: £95 for a ‘Sunday Escape’ (available from 2pm on Sundays). Includes two 25-minute treatments, and full use of spa and leisure facilities. Facilities: Spa facilities include indoor and outdoor relaxation areas, an infinity swimming pool, vitality pool and heat therapy suite. Odyssey Spa is located within the Odyssey Health Club. Cost: £70 for a ‘Time Out Spa Day‘. Includes a total performance body masssage (45 minutes), use of the spa and leisure facilities, lunch, tea & coffee, and a glass of Prosecco. Facilities: Spa facilities include steam, sauna, 25m pool and Moroccan relaxation room. Gym and studio classes are bookable on the day. So there you have it. Some fabulous scented candle-filled locations for your relaxing spa day with your friends, depending on your budget and requirements. If you have been to any of these spas and would like to share your experience, or if you have any tips for people about to book, please comment below. Editor’s note: This post was originally published in September 2016, and has been updated and revamped with the most up-to-date information. These all look great – I want to go on a spa day!! We should definitely do it!